RANDY on More Comments: Where were you when Kennedy was killed? Frank S. Wagner on Where were you when Kennedy was killed? Bob Huffaker on Where were you when Kennedy was killed? Liza.Marie on Where were you when Kennedy was killed? Jim Gibbs on Comments: Where were you when Kennedy was killed? Lisa Gibbs on Comments: Where were you when Kennedy was killed? A site for "truth seekers"
. . . a riveting account not only of the assassination but of TV's transformation into America's most dominant news source. Here, finally, is the view from the street about November 22, 1963. This reporters' account of the Kennedy assassination brings to full focus the personal anguish as well as the professional pressure endured that day by those who could not take the time to cry. This book will become part of the real and permanent history of a dark day for America. Their account of reporting the events surrounding Kennedy's death goes beyond mere retelling, reflecting on issues such as ethics and duty in the presentation of news. When the News Went Live is more than just a compelling read. It is an account of incredible from-the-streets reporting of history. . . . Each author has a chance to share individual memories, and readers will appreciate the opportunity to read transcripts of live reports, such as Huffaker confirming the assassination by saying, "This is one of the quietest crowds that will ever assemble—the crowd with pity, sorrow, horror and shame in its heart." No less moving is Huffaker explaining to us 42 years later, "I hated having to speak when I felt like weeping." When the News Went Live: Dallas 1963, a thoughtful and fast-moving book by four Dallas broadcast reporters, is earning respect of journalists who praise its depth, authority, and readability. Their vivid first-person account is the clearest view yet of the JFK assassination and its aftermath. From interwoven viewpoints at the center of that tragedy, they show what really happened, how they covered the stunning events for the nation, and how broadcast news has developed since, both technically and ethically. Bob Huffaker, Bill Mercer, George Phenix, and Wes Wise reported for the Dallas CBS affiliate KRLD Radio-TV News, one of America’s top news operations. They worked with Dan Rather, Walter Cronkite, and CBS to bring Texas news to the nation. When broadcasting JFK’s Dallas visit suddenly evolved into reporting a worldwide tragedy, they kept as calm as possible, to encourage the world to remain sane. Bob Huffaker broadcast television’s first murder when Jack Ruby shot Lee Oswald. He broadcast the motorcade and Parkland Hospital scenes, interviewed the assassin’s mother, covered Ruby’s trial and finally his death, having done an award-winning courtroom interview with Ruby. He earned the Ph.D. and was an English professor until 1980, when, as investigator for the Texas Legislature, he exposed his university for falsifying class records. Texas State University honors Huffaker in its Star Hall of Fame for defending press freedom when he headed its student publications committee in the 1970s. Huffaker was an editor for Texas Monthly, Studies in the Novel, Studies in American Humor, and Modern Humanities Research Association. His book John Fowles is seminal work about the novelist, and he has written for Southern Humanities Review, Dallas Observer, True West, Senior Advocate, and Texas Parks & Wildlife. Bill Mercer kept vigil at Dallas Police headquarters and confronted Oswald in a midnight press showing, where he informed the assassin that police had charged him with the president’s murder. Among flowers at the assassination site, Mercer reported words of sympathy on wreaths—and on the minds of those who gathered in grief at JFK’s murder. Voice of the Dallas Cowboys, Chicago White Sox, Texas Rangers, University of North Texas, and the Cotton Bowl, Mercer is in the Texas Radio Hall of Fame, Texas All-Pro’s Hall of Fame, and UNT Athletic Hall of Fame. He gained fame announcing wrestling and wrote history of the Navy LCI: World War II combat landing craft on which he served in the Pacific. George Phenix has made his mark in press and politics. For two decades he has published Texas Weekly, the premier newsletter he founded. After the assassination, Phenix left KRLD to lobby for the Texas Municipal League, and he wrote speeches and television shows for officials including Governor Preston Smith and Congressman J.J. Pickle. After four years as Pickle’s Washington aide, he returned to Texas as Executive Assistant to US Senator Lloyd Bentsen, published several weekly newspapers, and remains an authority on politics and journalism. Wes Wise, president of the Dallas Press Club, escorted Adlai Stevenson the month before the assassination and filmed attacks on the UN Ambassador. Wise helped prepare JFK’s security for the Dallas visit, broadcast the motorcade and Trade Mart scenes, encountered Jack Ruby the day before he shot Oswald, waited at the county jail for the aborted Oswald transfer, and testified in Ruby’s trial. Honored in the Texas Radio Hall of Fame, he was a famous baseball announcer for Liberty Broadcasting System in the 1940s and 1950s. He wrote for Sports Illustrated, Time and Life, winning Southern Methodist University’s Southwest Journalism Forum award. He served five years as mayor of Dallas in the 1970s, was president of the Texas Municipal League and board member of the US Conference of Mayors. Wise helped Dallas overcome its tarnished reputation. As a reporter, he set records straight; as Dallas’ first independent mayor in decades, he helped the city toward racial equity, guided it through desegregation and the uneasy Sixties, fought to memorialize JFK’s life and death, and helped pull Dallas up from international disgrace. C-SPAN-2's Book TV will rebroadcast When the News Went Live's Texas Book Festival author panel, moderated in October 2005 by Dan Rather in the Chamber of the Texas House of Representatives. This second Book TV appearance of Bob Huffaker, Bill Mercer, George Phenix and Wes Wise is also sold on DVD through C-SPAN. Their vivid and compelling book is approaching its third printing since it was released in autumn 2004. Reviewers unanimously praise the book for its authority and readability. The program is available on DVD here. The authors' BookPeople Book TV program is also available here. Dan Rather to Moderate Texas Book Festival Panel on "When the News Went Live"
third printing since it was released in October 2004. Previous review of When the News Went Live: Dallas 1963 can be read here. On Thursday, 9/15, George will be interviewed on The Armadillo Podcast and we're fortunate enough to have an "exclusive sneak preview" here on our blog. Full disclosure: We're hosting this podcast as an "exclusive" simply because George's eldest son Steven produces the show. Still, George and Steven make for a funny conversation and it's worth the download, (even on a dial-up connection). "Example: If Galia says it's too hot here, the next week we interview a lifeguard at Barton Springs. "But the show is really about the things that make Austin special. It's an online radio postcard that says "Wish you were here," to all our friends abroad. "Does George convince Galia to move to Austin? "Below is a link to the first part of the podcast. Please come back on Thursday for our complete results show." 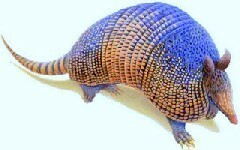 Click on the link below to download a teaser of Episode Two of the Armadillo Podcast. Former Dallas mayor Wes Wise, who pioneered baseball play-by-play with Gordon McLendon in the 1940s, will be inducted into the Texas Radio Hall of Fame on November 5. Wise joins his former colleague and co-author Bill Mercer, who has been in the Hall of Fame for several years. 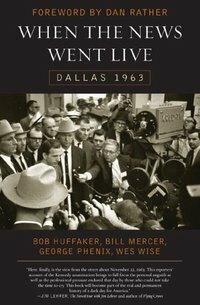 Wise and Mercer, both famous play-by-play announcers, are co-authors of the nationally acclaimed book When the News Went Live: Dallas 1963, written with their old colleagues Bob Huffaker and George Phenix. The book is their compelling first-person account of covering the JFK assassination and its aftermath for CBS and KRLD News. These veteran broadcasters also discuss developments in today's broadcast journalism. The four will be featured at the Texas Book Festival in October, and they have won several regional honors, including Southwest Authors of the Year. The well-received When the News Went Live has been praised by Dan Rather, Jim Lehrer, Bob Schieffer, Walter Cronkite and other top journalists. In the 1940s and 1950s, Wes Wise was a well-known baseball play-by-play announcer for the nationwide Liberty Broadcasting System. At Ameriquest Field, home of the Texas Rangers, the Legends of the Game Museum features a replica of the radio studio where Wise and Gordon McLendon re-created major league baseball broadcasts. Beside the antique microphone hangs the bat that Wise and the Old Scotsman struck for sound effects to accompany disc recordings of crowd noise. Historic audio of their early re-creations accompanies the radio exhibit, and high on a wall above the museum's entry room, a giant enlarged photo sets the mood for old-time baseball: a panoramic shot that young Wes Wise took from the roof of the old Polo Grounds in 1951 when he was still in the Army. Wise was Southwest Correspondent for Sports Illustrated, and he wrote for Time and Life. As a journalist, Wise won numerous awards including three Press Club of Dallas "Katies" and the Southwest Journalism Forum award from Southern Methodist University for "continued excellence in journalism." Wise was elected Mayor of Dallas in 1971, serving five years in that office after four as a councilman. He was President of the Texas Municipal League and a board member of the US Conference of Mayors. He lives with his wife, Sally, on Cedar Creek Lake and divides time between there and Dallas, where he remains active in public affairs. Wes Wise touched more important developments of the assassination story than most reporters. The month before Kennedy's ill-fated visit, Wise, as Dallas Press Club president, escorted Adlai Stevenson at the day's press conference before covering that night's fateful attacks upon the UN Ambassador. After capturing the only film of that fiasco, Wise helped federal agents prepare security for JFK's Dallas visit. Wise covered the presidential motorcade, played a double role at the president's aborted luncheon, encountered Jack Ruby the day before he shot Oswald, waited at the county jail for the Oswald transfer that went wrong, and testified for both sides in the Ruby trial. In his five years as Dallas' mayor, Wes Wise helped the city overcome its tarnished reputation. He not only reported this segment of history; he made some of it himself. 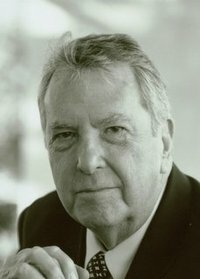 As a reporter, he set records straight; as Dallas' first independent mayor in decades, he helped the city toward racial equity, guided it through desegregation and the uneasy Sixties, fought to memorialize JFK's life and death, and with support of his fellow Dallasites, pulled the city up from international disgrace. The Texas Radio Hall of Fame induction takes place November 5 at the Dallas-Addison Marriott Quorum, near the Galleria. Individual tickets are $59. Tables for 10 are $650. The event is open to the public, and tickets are available at www.texasradiohalloffame.com. little Alaskan island where nobody lives. day that his hapless bureaucracy had been feeding them every day. Card was away in Maine. Author Appearances: "When the News Went Live"
NE Branch, 1905 Brown Blvd. Featuring "When the News Went Live"
Veva Vonler & husband Bob HuffakerVonler's "The Movie Lover's Tour of Texas: Reel-Life Rambles Through the Lone Star State"
on Nov. 22, 1963, her sobs continuous. murder of an accused assassin on live television. Lee Harvey Oswald, Officer J.D. Tippitt and Jack Ruby that week. account of incredible from-the-streets reporting of history. Love Field, "This is not a gun," referring to his long-barreled mike. Forget about CNN, the immediacy of videotape or use of satellites. an Air Force officer say he was headed to Parkland Hospital. "Me, too,"
said Phenix, as he jumped into the back seat with the officer. site), the sadness, the tears and choke back my own emotion." were published in the Dallas Times Herald. horror and shame in its heart." having to speak when I felt like weeping." 8:15 a.m. Monday through Friday on KLLL (96.3 FM). Curiosity led Bill Mercer to the University of North Texas for the first time all the way back in 1957. Mercer was a young sports broadcaster at the time in Dallas and decided to take a trip north to see where UNT was located and film a little bit of football practice. A few minutes and a few U-turns later, Mercer found what he was looking for and never really left the school behind. Mercer ended up teaching at UNT, helped start the campus radio station and spent more than 30 years as the voice of the Mean Green. The campus community and broadcasters from across the country will honor the legacy Mercer left along the way with a dinner at 7 p.m. tonight in the Gateway Center. Mercer will speak at the event that will also feature several media personalities, UNT coaches and administrators. The cost of attending the event is $50 per person. All proceeds will go to Building Believers, Inc., a non-profit organization that serves youth in the Dallas-Fort Worth area through basketball training. "North Texas will always be a special place for me," Mercer said. "I was the first sportscaster to show highlights of a UNT football practice when I came up in '57 and I will still teach a class there this fall." Mercer broadcast a wide variety of sports from football games to professional wrestling during his career, but still found time to carve out a niche in Denton. He was the voice of UNT football from 1959-93 and had also broadcast basketball games from 1966-94, a career that earned him a place in the school's Athletic Hall of Fame. The legacy Mercer built in Denton was one of the reasons former UNT basketball players Deon Hunter and Wendell Williams decided to ask him to headline an event to benefit Hunter's Building Believers, Inc., organization. Hunter and Williams wanted to make it easier for families to afford the cost of their program that aims to instill a sense of purpose in young people through basketball. When the discussion turned to a banquet, Mercer's name came to mind. "We realized that Bill had not had an event to honor him and we felt he needed to be recognized," Hunter said. "This has been long overdue. When you look at the track record he has had, it shows that he has paid his dues." Mercer's resume reads like a dream list of broadcasting jobs. Mercer broadcast Dallas Cowboys games for seven years, in addition to working Texas Rangers games. And those were not Mercer's most interesting assignments. He also worked Chicago White Sox games with Harry Caray and broadcast professional wrestling in Dallas. Even with those duties on his plate, Mercer hung on to his job at UNT and chronicled some of the memorable moments and players in Mean Green history. Mercer watched Abner Haynes develop into one of the first black college football stars in Texas during late the 1950s and saw "Mean" Joe Greene lead UNT to a pair of Missouri Valley Conference championships in the late 1960s. Mercer also squeezed into the old men's gym on campus for basketball games. "The old men's gym was great because about 5,000 people would come," Mercer said. "It was a great experience to broadcast games there." Some of those fans joined Mercer a few years later in watching UNT win 11 straight games in the 1987-88 season to earn a berth in the NCAA Tournament. Hunter and Williams were both members of the team that lost to North Carolina in the first round and came to be friends with a man they knew of long before they arrived at UNT. "I remember Bill from when I was a kid and wrestling was big," Williams said. "When I came to North Texas and started playing basketball, he was doing all my games. We got to know him over the years and wanted to celebrate his career." The number of games Mercer broadcast and great moments he chronicled are just a few of the ways Mercer left his mark at UNT. He also taught generations of students who followed him into broadcasting in addition to helping found KNTU. Mercer retired in 1996, but was lured back to the university to resume teaching in 2001. Mercer's UNT connections have helped him keep track of Hunter and Williams. When they called Mercer and asked if he would be willing to headline an event to benefit Building Believers, Inc., he was more than happy to help a pair of former players from a university he has been affiliated with since the late 1950s. "Those guys are great people," Mercer said. "Both are giving a lot back to the community."